I am starting to worry that the bubble is bursting for comic fandom. New York Comic Con sold out in record time and there are rumors that Marvel is exploring a $4.99 price point for comics. They will deliver more pages and are technically a better deal (less money per page), but I worry for the little guy. There have been some great innovations in recent years (MonkeyBrain, Marvel Unlimited, ComiXology) that have definitely helped, but I still have my fears. That being said, with the popularity this industry has seen, as a reader, I am enjoying more titles from some amazing individuals each week and couldn't be happier with the quality and variety that is brought to the table every single week. 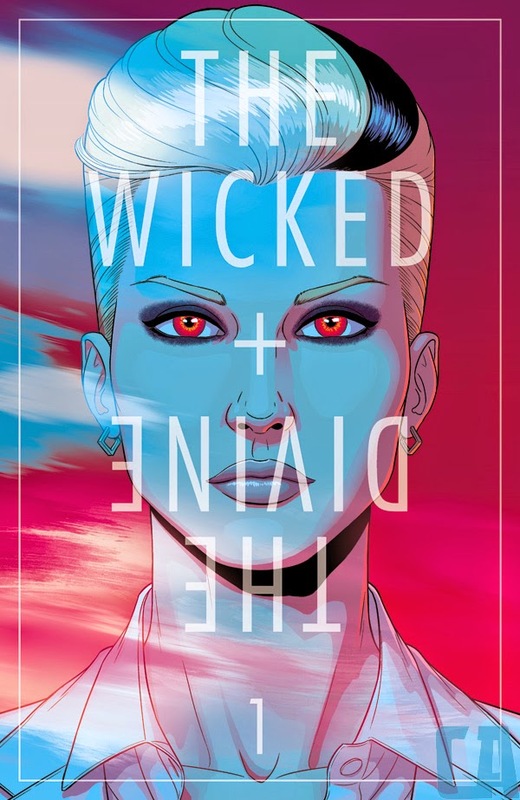 The Wicked + The Divine - The tagline for this title says it all. "But remember: just because you’re immortal, doesn’t mean you’re going to live forever." 12 Gods have have been reincarnated as pop stars with only two years to live. They have started to cause a bit of a youth revolution, but have their detractors. There is a tension that is present between the believers and the non-believers that feels real. It brought back memories of my youth when the pastor at my church spoke out against bands like Def Leopard. The divide between those in power and those who have the ability to speak to the disenfranchised is very real and I think a lot of people will relate to this title. Kieron Gillan does a masterful job developing meaningful characters and establishing the premise for this book in an effective way. Well done. The Auteur #4 - In a somewhat toned down issue, this work from Rick Spears continues to be one of my surprise hits of 2014. Following the events from the last issue, Rex isn't comfortable putting what he filmed on the big screen. Despite praise from executives, Rex has a plan to fix the movie and hopefully clear him of any legal troubles he may now face. In a somewhat subdued issue (from a gore standpoint), Spears delivers a twist I did not see coming and some laugh out loud moments. As I have said with each issue, if you have the stomach for this type of thing, you need to be reading this title. Original Sin #4 - We were left with the Winter Soldier slicing off the head of Nick Fury and stealing the Watcher's eye. 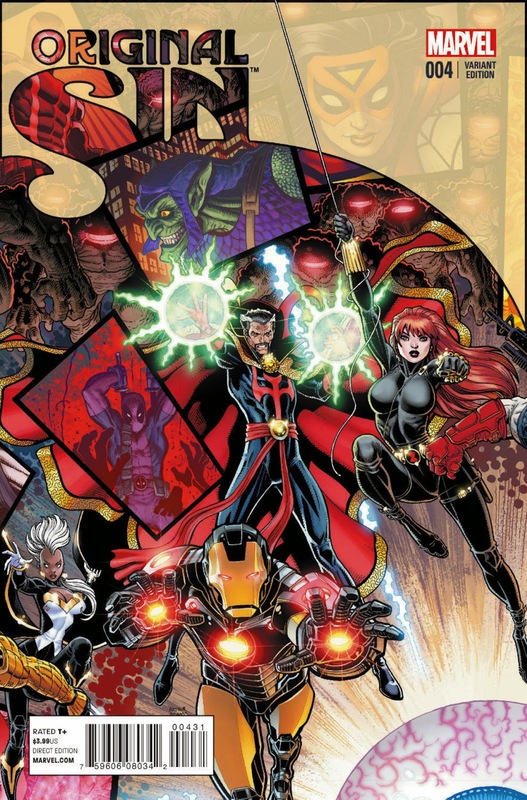 It was a hell of an ending to my favorite Marvel event of recent and readers were due some sort of explanation. Issue 4 delivered that explanation, but upped the ante with the reveal at the end. There are still a lot of questions to be answered and while I am enjoying the whodunnit mystery, I am more excited about what the Watcher knew. Really digging this event. 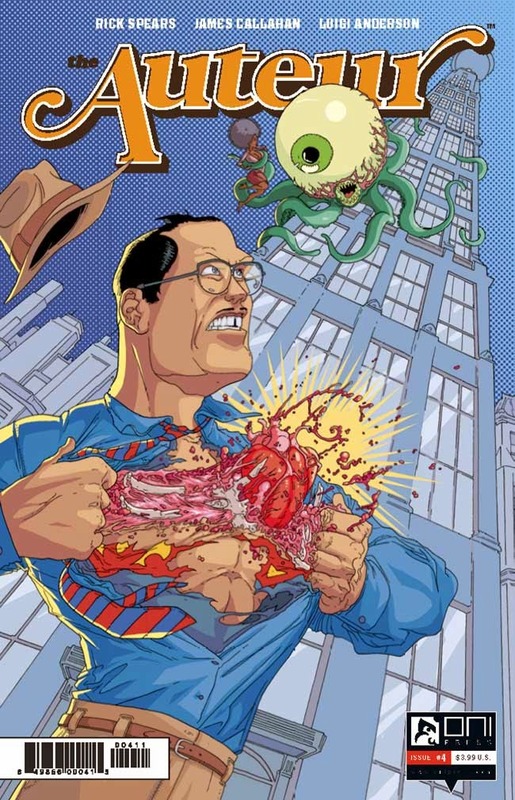 Axe Cop: The American Choppers #2 - As a huge fan of Axe Cop, I felt a little let down by the majority of this issue. 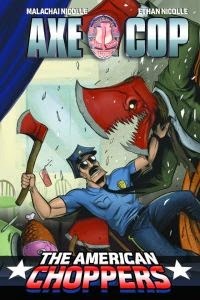 It was filled with some of the typical Axe Cop humor, but felt a little forced. It was fun to see Axe Cop struggle as a leader and I definitely enjoyed where this book ended up at the end, but I wonder if it would have worked better in its traditional format on the web. I will stick with this title as I am a dedicated fan and have faith it will improve, but would steer newcomers to the series to the webcomics.